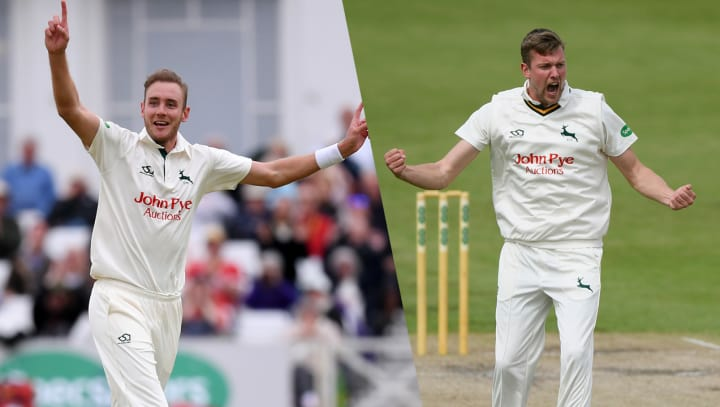 Tickets are on sale now for an evening with Stuart Broad and Jake Ball, as the Nottinghamshire and England duo laying on a personalised dining experience and question and answer session for supporters. On the evening of Friday 1 March with arrival from 7pm, the Nottinghamshire and England duo will take to the kitchen and the bar respectively to provide a personal touch to a three-course meal being served in the Derek Randall Suite at Trent Bridge. While Broad will select his own menu and help the chefs produce a three-course meal for those in attendance, Ball is providing input of his own into the selection of accompanying beverages and will be on-hand to prepare them behind the bar. Attendees will hear from the pace bowling duo at regular intervals throughout the evening. Tickets for the event, taking place in the Derek Randall Suite on Friday 1 March with a 7pm start, are available priced at £49. The dress code for the event is smart casual. All those that attend will also receive a complimentary drink on arrival.